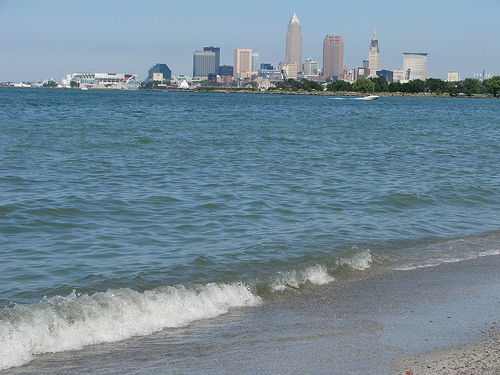 Summertime is to Cleveland as Mardi Gras is to New Orleans. Anywhere in the Midwest, once we’ve dug ourselves out from snow, ice and wind, we embrace summer with verve. The Summer Solstice Celebration at the Cleveland Museum of Art (CMA) embodies the passion for warm months, celebrating - you guessed it, the summer solstice, otherwise known as the first day of summer - while beautifully intertwining the fine art and culture of Cleveland. The Summer Solstice Party celebrates the longest day of the year (easy to remember for next year! Mark your calendar now, trust me.) 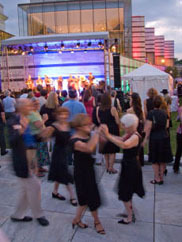 Thousands of guests from across the world descend upon the CMA and kick off the summer season with a night-long affair of art, live music, food and cocktails. 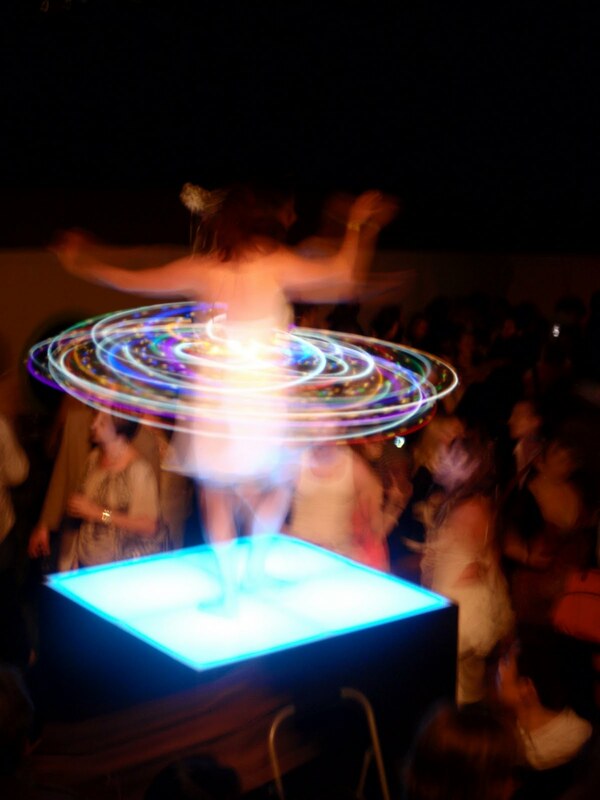 Party guests toast a welcome to summer as the clock ticks to midnight and continue merrymaking well into after-hours. The event literally takes over the entire Cleveland Museum of Art including galleries, the front lawn and everywhere in between. On June 26 this year, I attended my first Cleveland Museum of Art Summer Solstice Celebration. It surpassed my expectations, set high by the passionate stories spun by friends. Includes Mediterranean style hors d'oeuvers and open bar. Audience: Refined, distinguished. 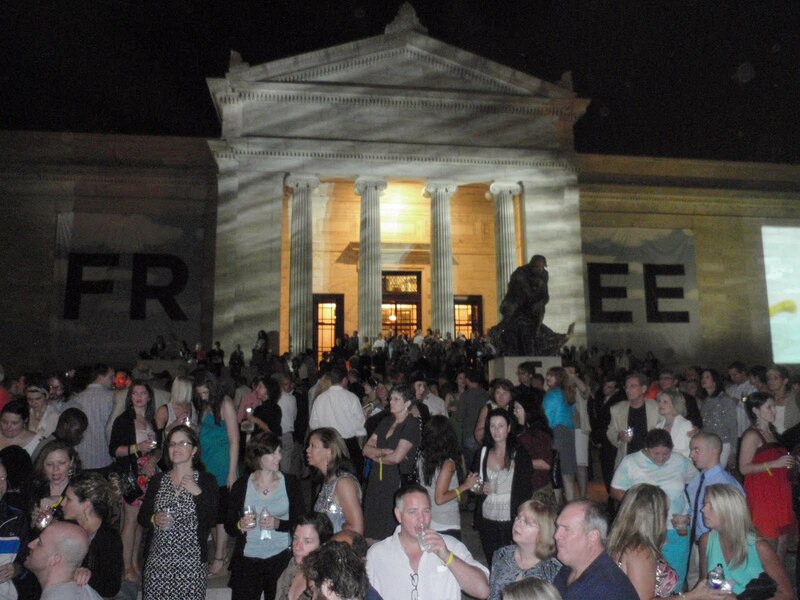 Guests feel that they're truly part of a benefit for the Cleveland Museum. Includes Latin American style hors d'oeuvers and cash bar. Audience: Younger guests mingle with earlier crowd. Includes snacks and cash bar. Audience: Look - it starts at 10pm. You can do the math. Photo courtesy of CMA website. Some would consider the music and outdoor celebration the epicenter of Summer Solstice Celebration. Galleries are open but the "celebration" is arguably outside. A full-scale stage, complete with intricate concert style lighting and a top-notch sound-system, is constructed at the ceremonial entrance of the Museum. 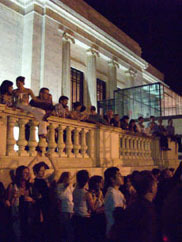 There are marble stairs and veranda, providing a perch perfect for people watching. 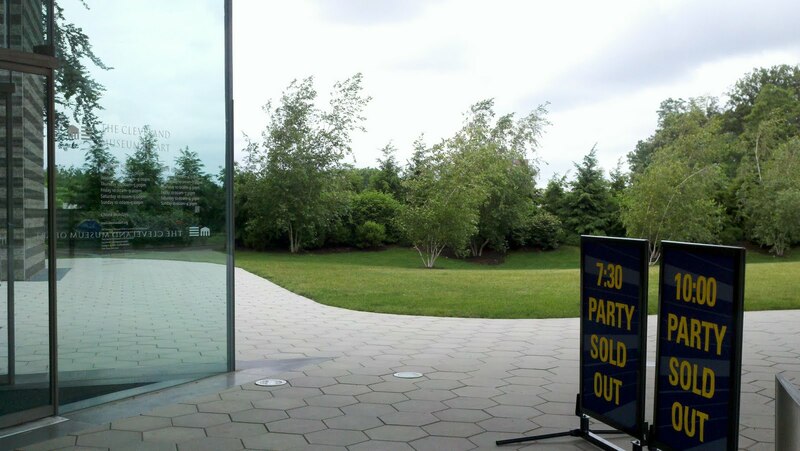 The enormous patio accommodates the crowd that gathers in front of the pop-up stage. The space is transformed into a pop-up concert venue and the musicians that perform embrace the nature of experience. 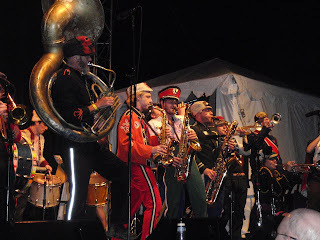 Music: The best performance was Mucca Puzza. An attempt to summarize their music (if the photos don't visualize it for you): A very cool, hipster circus marching band. A full line-up of the world-class musicians is profiled over at my friend’s blog, Cleveland’s A Plum. Performers took to lighted and raised platforms throughout the audience. Here's a video of a performance of Mucca Pazza in NYC. Get a taste of their awesomeness. If you know me, you know I love to travel. I’m ashamed to say I’ve not yet gotten my passport. The Museum gives anyone the chance to travel the world through art. Cross the globe through the museum’s new galleries of Greek, Roman, Egyptian, Byzantine, medieval and African art. The CMA is known as having one of the best collections in the entire world. While transforming the Museum over course of several years may have been seen as a challenge, the results are breath taking. Summer Solstice Celebration gives you the chance see the CMA makeover of the West Wing in mouth-gaping awe. Wall Street Journal expounds upon the multi-phase project with more eloquence (plus fabulous photos.) The entire renovation is slated to be complete in 18 months and it will become a beacon of architectural showmanship when the unveiling is complete. I've been called Cleveland's biggest cheerleader. No, that's not me. That's the Mucca Pazza cheerleader. 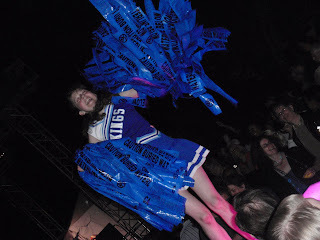 So consider this my cheer to you to join the Summer Solstice Celebration in 2012. I'll be there.